21 February 2019 (FAO)* — When Calista Maguramhinga shows visitors a section of her half-hectare farm, she keeps a small notebook clutched in her hands with details of how she is growing her food. Recruited to serve as a volunteer “lead farmer”, Calista helps train others in her village, a place called Muzenge in the Manicaland province of Zimbabwe. She has a number of demonstration plots for maize, sorghum and grounds nuts where she is testing new farming approaches. Local farmers come to learn from what she is doing. Calista is one of many smallholder farmers getting their training from the Zimbabwe Livelihoods and Food Security Programme (LFSP), managed by FAO and being implemented by a consortium of partners. 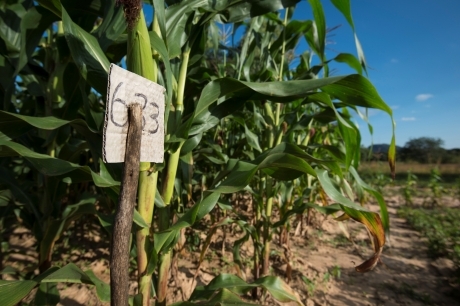 Practical Action, Sustainable Agriculture Technology and International Crops Research Institute for the Semi-Arid Tropics are the implementing partners in Zimbabwe’s Manicaland Province. The initiative is designed to not only help farming families improve their agricultural production, but also to improve their diets and reduce malnutrition, especially in families with young children. As a single mother, Calista used to face discrimination and live a life of poverty, struggling to support and feed her big family. Although she has just one child, she takes care of her four nieces and nephews who became orphans when her brother and sister passed away. She also provides for her 78-year-old father, a man named Clever. Calista points out just two of the things that are making a big difference for her now: The first is using an ox-drawn tine ripper plow. LFSP has taught farmers to leverage this new tool: “When you use the tine ripper you spend less time plowing. It’s also better for the soil. 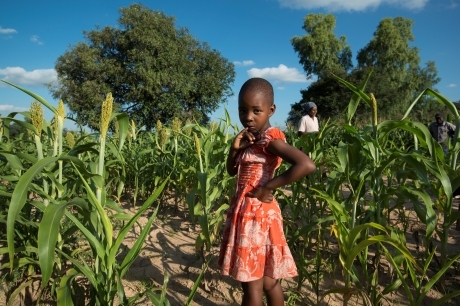 When we used the old plow there was a lot of soil erosion; now there is less,” Calista says. The other major improvement is the use of “conservation agriculture”. Conservation agriculture is an approach that minimizes disturbance of the soil in order to reduce erosion, minimize moisture loss and conserve nutrients. It also saves labour, an important factor for a single mother like Calista. Instead of having to weed 4-5 times a season, she lays mulch around the base of her maize and sorghum plants, which cuts down weed growth and retains moisture. She is grateful for this technique as it eliminates a lot of back-breaking labor: “I’d be looking a lot older if I had to do all that weeding!” she adds laughing. Since she started trying conservation practices two years ago, she is seeing a big difference in her maize production. She used to get a tonne of maize, but now she gets 2.5 tonnes from the same half hectare. In many communities, when training is offered, it is the usually the men who are given the opportunity to attend, despite the fact that it is the women who do most of the work in the fields. Single women, in particular, are routinely overlooked. However, the LFSP is ensuring that women get the skills and training they need, which is changing the gender dynamic on the ground. 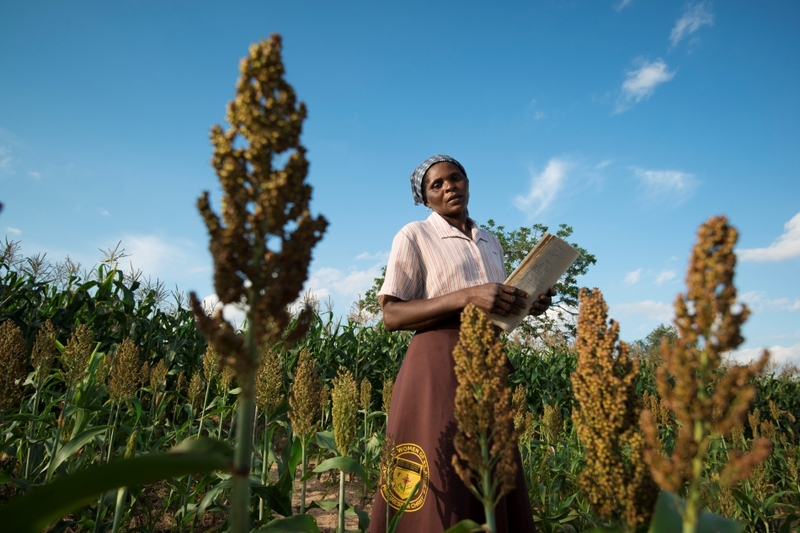 Funded by Department for International Development (DFID), the LFSP aims to increase agricultural productivity and incomes, improve food and nutrition security and reduce poverty in rural Zimbabwe. It is also challenging gender norms by providing equal opportunities for both men and women to access training and other resources. *SOURCE: FAO. Go to ORIGINAL.